Given the known failures of carbon capture and storage – and given that the federal government has lost millions of taxpayers’ dollars to CCS already – investing in such technologies could amount to improper use of public funds, writes EJA’s Bronya Lipski. In 2009 the Rudd government initiated a $1 billion carbon capture and storage program that was supposed to deliver two to four large-scale CCS projects. The program was significantly scaled back by the Abbott government in 2014. This downsizing was consistent with global trends, as it became increasingly apparent to governments that CCS was not an economically, nor an environmentally, appropriate pathway to serious emissions reductions. In 2017 the Australian National Audit Office reviewed the Federal Government’s CCS program and found none of the projects met the original timeframe or reached the stage of deployable technology, as originally envisaged in the program design. It seems bizarre, then, after the Abbott government stripped the CCS program of funds, and after the ANAO report found the project was overwhelmingly unsuccessful, that the Federal Government would now float the idea that the Clean Energy Finance Corporation (CEFC) should be allowed to invest in CCS. That is what is proposed in the Clean Energy Finance Corporation Amendment (Carbon Capture and Storage) Bill. When the CEFC was first introduced in 2012, Mathias Cormann (then in Opposition) said the Rudd Government was ‘throwing money at ventures that are not commercially viable and that are competing with those projects that are trying to make a success of things’. In fact, the CEFC has been a great success – financially and for clean energy. Around this time last year, the CEFC said it had invested more than $3.3 billion in eligible clean energy projects, with a total project value of $8.3 billion, while also delivering a positive return for the taxpayer. Strong evidence suggests investing in CCS projects would not provide positive returns like investing in clean energy does. If the CEFC Act was amended to allow the corporation to invest in CCS, funds from commercial or near-commercial clean energy projects would be redirected towards a technology is not proven and where sufficient doubt exists as to its environmental and economic risks. Given the known failures of CCS – and given that the federal government has lost millions of taxpayers’ dollars to CCS already – investing in such technologies could amount to improper use of public funds under the Public Governance, Performance and Accountability Act 2013 (Cth). There is a genuine risk of this, especially if the CEFC was to invest in proposals to retrofit extant coal-fired power stations, or contribute to the construction of so-called ‘high efficiency, low emissions’ or ‘ultra-supercritical’ power stations proposals that include CCS. Or will the CEFC be asked to invest in projects like the highly speculative $497 million pilot schemeto gassify brown coal in the Latrobe Valley and produce a grand total of ‘up to’ three tonnes of hydrogenover 12 months? As a ‘corporate Commonwealth entity’ the CEFC is required under the PGPA Act to promote the proper use and management public resources. The CEFC was set up to invest in a commercial manner. It can only make investments that are consistent with sound commercial practice. Crudely removing the CCS exemption would put the directors in an unenviable position, as an investment in CCS may leave them liable to breaching the requirement for the proper use of government resources. CCS has failed to deliver on its potential to reduce future carbon dioxide emissions into the atmosphere, especially where it has been attempted in the generation of power via coal combustion. Proponents of CCS love to talk up the potential of the technology in communities such as the Latrobe Valley. They talk about the prospects of retrofitting old coal-fired power stations with the technology, or building new power stations and capturing all the nasty stuff underground. This talk unfairly generates hope in a community where unemployment is high and where many people remain deeply traumatised by the privatisation of the energy industry and recent coal-fired power station closures. Spruiking CCS fantasies in communities that are working hard to transition away from an economic reliance on coal is a rotten thing to do. 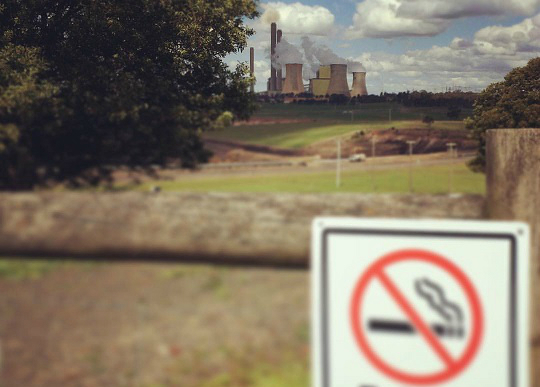 The coal industry continues to promise a lot but deliver very little in areas like the Latrobe Valley, the Hunter Valley and the NSW central coast. It is steadily losing its social licence. If the CEFC were to invest in CCS projects it would undermine its own reputation in communities that would otherwise seek assistance from the CEFC to help boost regional, clean energy projects. These communities need certainty about their future, not false hopes that CCS can deliver jobs and prop-up old power stations that are beyond their use-by-date. This is an edited extract of Bronya Liski’s opening statement to the Senate inquiry into the Clean Energy Finance Corporation Amendment (Carbon Capture and Storage) Bill on 18 April 2018. Her full statement is here.